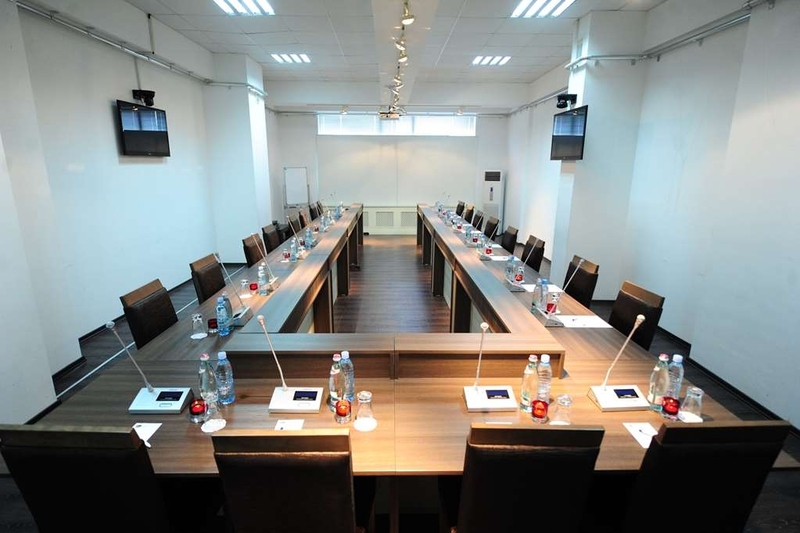 The Best Western Tbilisi Art Hotel is ideally located in the center of Tbilissi. Come and experience our hotel near the major tourist attractions. Best price guaranteed and exclusive deals. Stay close to the Business District of Tbilisi, making it easy for international business travelers to commute, attend events and still make plenty of time for sightseeing. 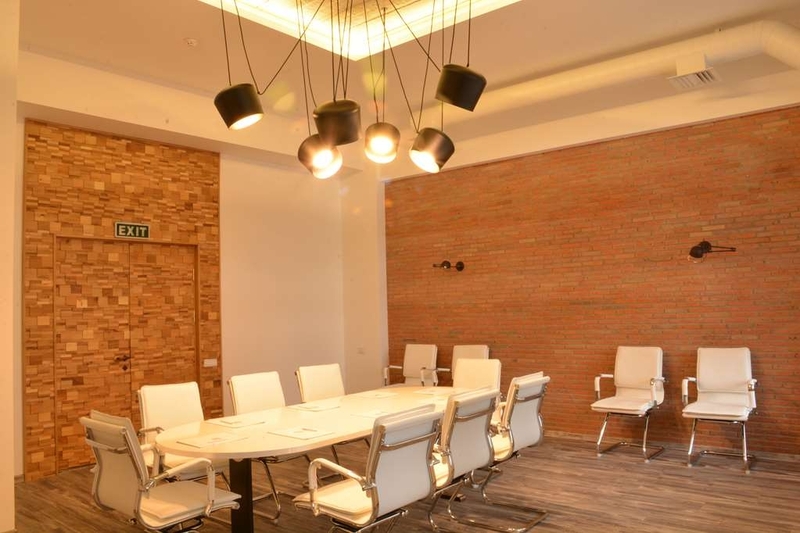 Located in the Tbilisi City Centre, easily found just a 3 minute walk from Tbilisi Sport Palace, this Best Western property combines the best amenities and location with the most competitive prices. 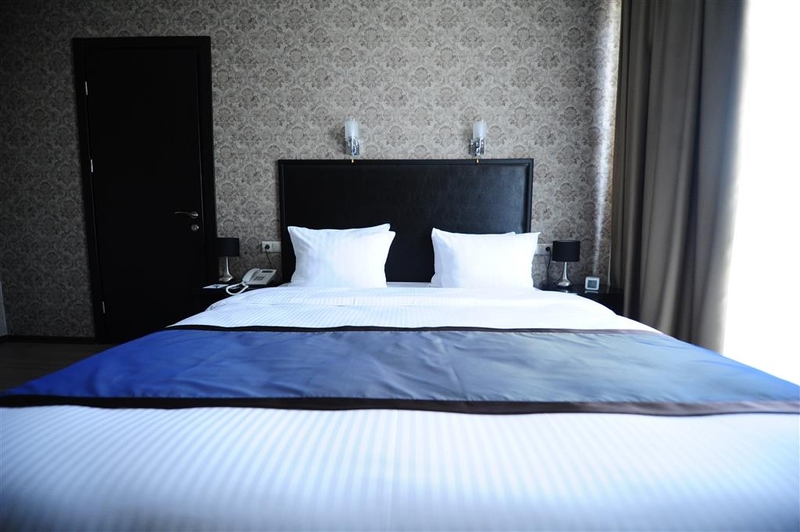 As a top branded hotel in Tbilisi, guests know exactly what to expect when booking a guestroom here: Superior hospitality, clean and large rooms, and all the amenities necessary for a great trip. Just one kilometer away from the train station, taking public transportation is easily accessible and friendly staff members are happy to provide recommendations on dining, shopping and sightseeing. 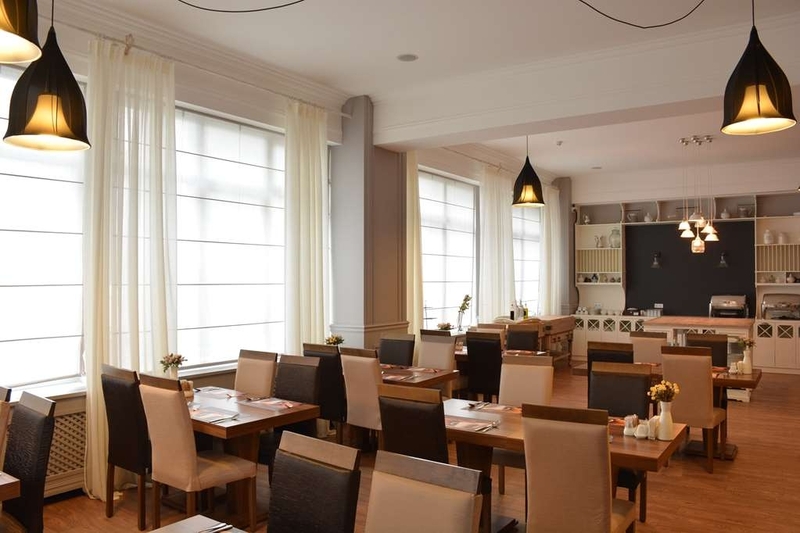 Visit the city zoo, just a short bus or taxi ride from this Tbilisi hotel. 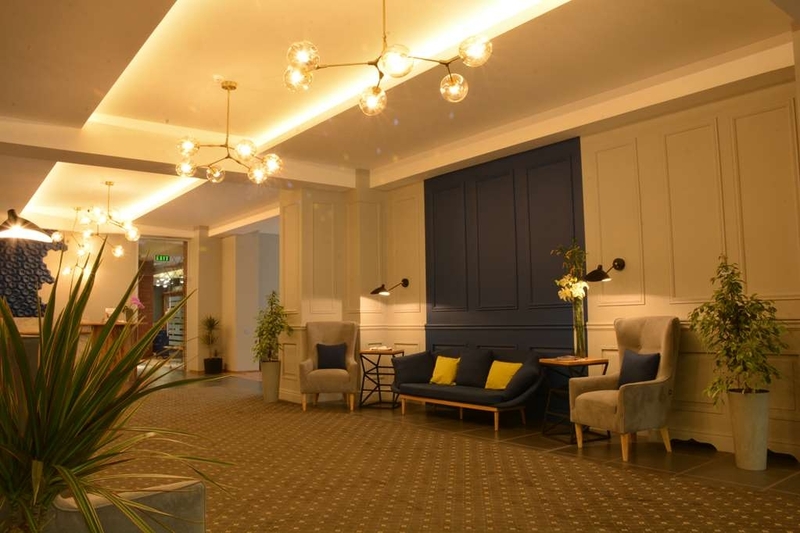 When you’re in the city centre and staying at a reputable branded hotel, you can rest easy while planning the ultimate itinerary. The Narikala Fortress is a must-see for any first-time traveler to Georgia, and the State Academic Opera and Ballet Theatre offers impressive performances year-round. Visitors flock to the Open Air Ethnographic Museum for the exciting exhibits that are constantly changing. 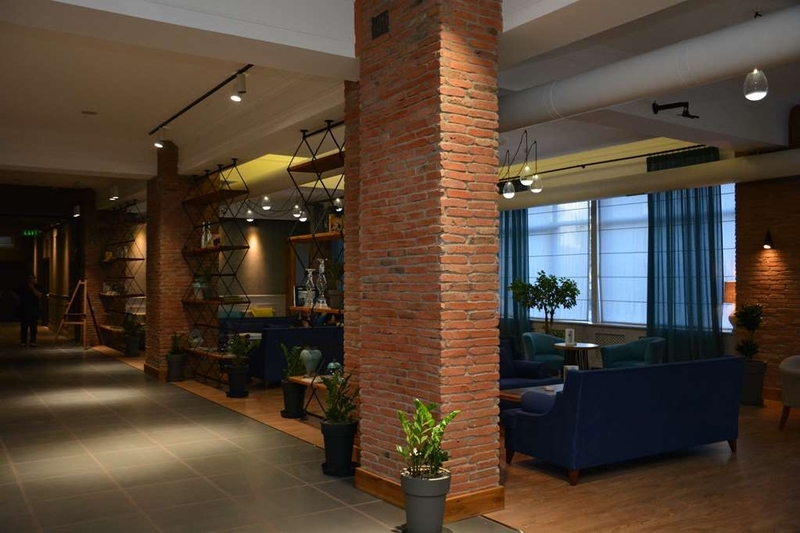 A number of business travelers with the World Bank stay at this Tbilisi hotel as well as workers with British Petroleum. Whether it’s an event at Toyota or a convention at Siemens, having all the business amenities at your fingertips makes it easier than ever to take care of business so you can take advantage of the leisure activities. Our staff is bi-lingual, accustomed to western preferences and guests, and has one goal: To make sure your trip is the best it can be. 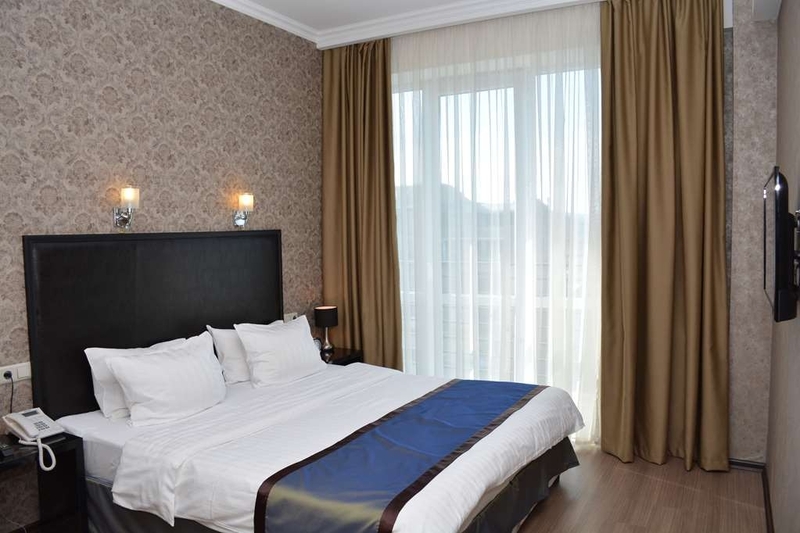 Reserve your stay at the Best Western® Tbilisi Art Hotel in Georgia today! Enjoy your stay. "A Decent Hotel with Lovely and Helpful Staffs"
Pros: Stayed twice in this hotel for a vacation. We stayed in there King Suite. One with balcony the other is without. Both stays are so quite, comfortable and decent, perfect resting place after a long day roaming around the country. Rooms are so spacious, and well equiped with basic necessities. Staffs are superb. They are very approachable, helpful, knowledgeable about everything a tourist will ask for.. and well spoken in english. Especially to Ani and tatelleah. Bar is available in the hotel! So you don't need to go out in the cold weather just looking for a place to chill out in the night. 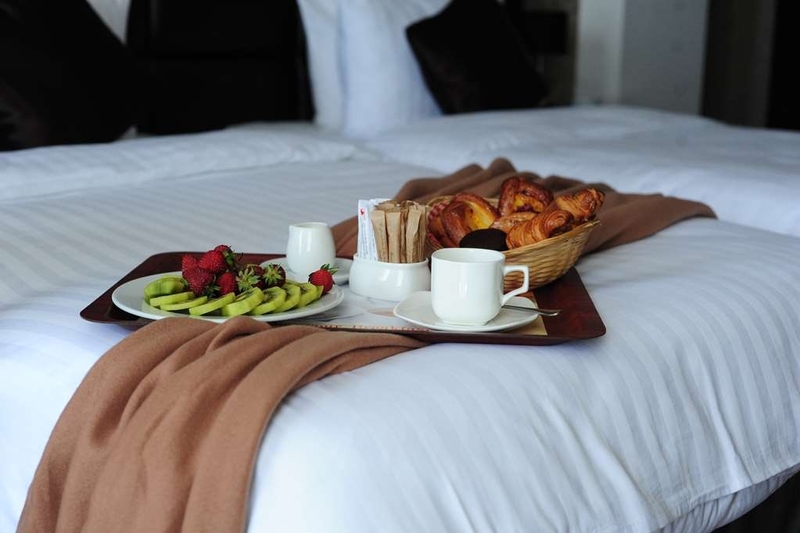 In house restaurant , room service and mini bar are readily available whenever required. Shoppings, restaurants, groceries, money exchange are accessible by 2-3 mins. walking. Old city is at least 15 mins by car depending on the traffic. The only Cons in this hotel is its not located in the main road. And for the driver to access the main entrance of the hotel they need to pay for the parking.so they tends to drop us on the street nearby to the hotel just to avoid paying for it.which is a little bit hassle for us especially when carrying a lot of luggages in coming and going out of the hotel.. Overall the stay are very good and the staffs are highly recommendable!!! Will definitely stay again and note for my future friends traveling to Tbilisi.. I stayed for a few days in the hotel on the upper floors-combination of two elevators. Room is clean and hot water available all the time. No complaints, except the breakfast is surely not to 4* standards, maybe because there were no a lot of tourists around. They could provide some of the typical Georgian food - no warm food for breakfast. When in town - try khachapuri, kharcho, lobio, selections of cheese and , of course, wine. "Very Good Location but don't expect 4* Quality"
Have stayed at this hotel on 3 occasions in the last 6 months. There is nothing 4 star about this hotel. However, I still consider it above average for the following reasons : 1. 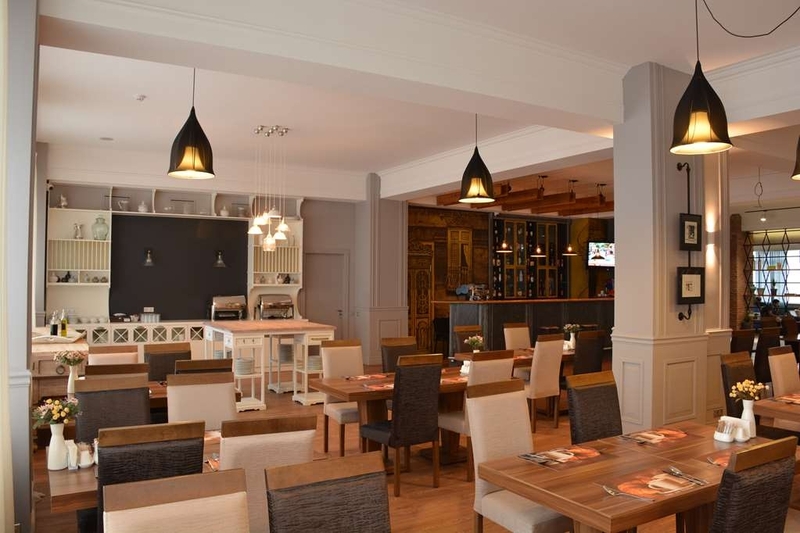 It is located in Saburtalo which is one of the best and busiest areas of Tbilisi. Despite the hustle and traffic around, it is peaceful inside the hotel as it is situated away from the main road. 2. The rooms are basic but very well maintained. The housekeeping is very good. The rooms are spotless clean. 3. Amenities like tea/coffee/water are provided daily. Bathroom is stocked with toiletries. Mini bar is replenished every day (paid ofcourse but pretty cheap). 4. An avg price of USD100 a night is reasonable to stay in a good hotel in a very good area in Tbilisi. This is one thing I have never understood about Georgia despite spending close to a year here now. Everything except Hotels is cheap here (food, clothing, transport, homes etc). 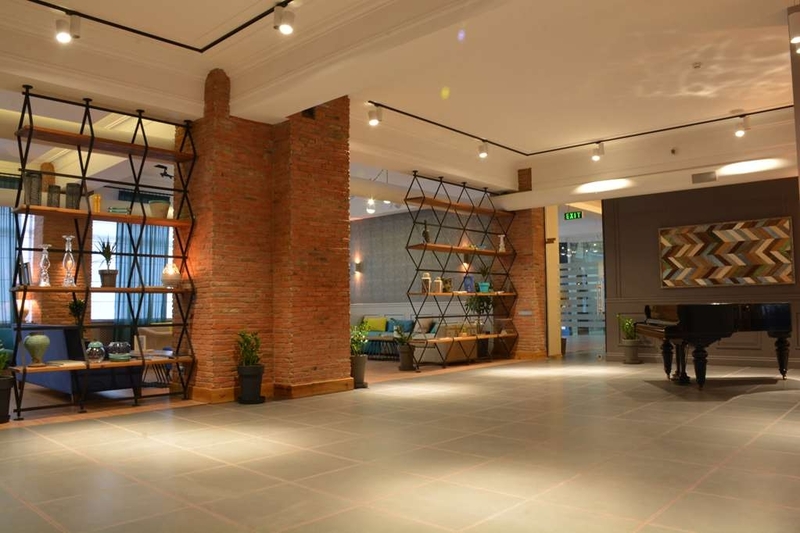 Premium hotels in Tbilisi come in the USD200 to USD 400 per night range which is obscenely high for a country where average salary of a person is USD 250 per month and even the tourism is not that great to demand that kind of a price. 4. The staff is courteous and wiling to always help. 5. Buffet breakfast is very limited but good enough. They have cereals, cut fruits, cold cuts, cheese platters, breads and eggs on offer. It doesn't really have a hotel like feel from inside. The corridors flooring is wooden, concealed with a carpet and its uneven from many places. I still consider this hotel above average because of the location, sleep comfort and cleanliness. "Who to trust in Tbilisi Georgia"
Georgia (the Republic of, in the Eurasian Caucasus mountains) is a trending destination now: the price is right and the scenery is gorgeous. 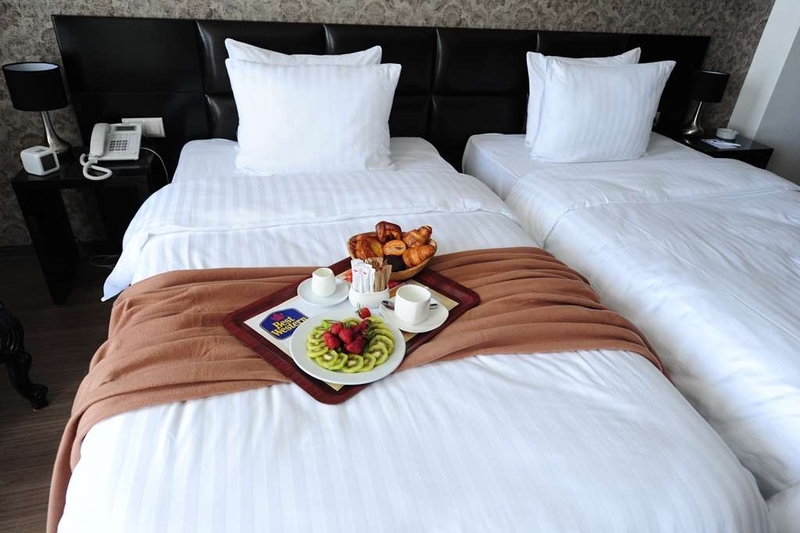 It is desirable to stay in an especially trustworthy hotel and from the point of view of ethics and trustworthiness the Best Western Art Hotel fills the bill. My room had a balcony and a dependable shower and a good, healthy breakfast was included. The staff was friendly and outgoing and always kind and helpful. Georgia has a very foreign language and alphabet so it is reassuring to return to a hotel where you can be yourself and speak English. The hotel is a distance from the cultural and touristic downtown but it is on top of a subway station and the subway is a barrel of fun, at least in my book. "Not really a 4 star hotel and not the best western standards"
We went to the Best Western looking at booking.com pictures (last time). The hotel is in the middle of a chaotic zone with a lot of real estate developments going on all around. This means construction works that you can see and hear from your window. Inside they did some refurbishing efforts but a 90´s look with (very) old carpets. Cleaning is a real an issue. Even the room materials are poor (to say the least). Not the best western standards for sure. Had an amazing experience with great food and superb ambience.Felt like home away from home.The staff was caring and helpful at all times.The cleanliness and hygine factors were taken care off strictly.All in all a great experience. I was very impressed by this hotel. The staff was exceptional, the rooms clean and roomy. At first the weird location annoyed me but we were there a full week and found it to be safe, quiet and very convenient to food and shopping. The laundry prices seemed high but we had friends at many other motels around town and they are all high but they did a great job and what a huge convenience! I have NEVER had such an amazingly delicious free breakfast! The croissants were just too good!!! It's a pain to find when you are in a taxi but we got used to saying casino Adjara and then getting out at McDonalds and walking the short walk back to the entrance. I heard no complaints from any of my friends that stayed there as well. Definately reccomend! "Good hotel but could do with improvements"
The rooms are quite big and functional. Same goes for the bathrooms. Location wise a bit far from the city center , close proximity to the underground metro/railway station helps .Travelling by the underground metro is extremely economical compared to taking taxis (0.5 Lari to any station one way , compared to minimum 5 Lari for taxi ) with a train every 3 to 4 minutes depending on the time of the day. Breakfast was extremely limited to put it mildly but staff friendly and helpful. 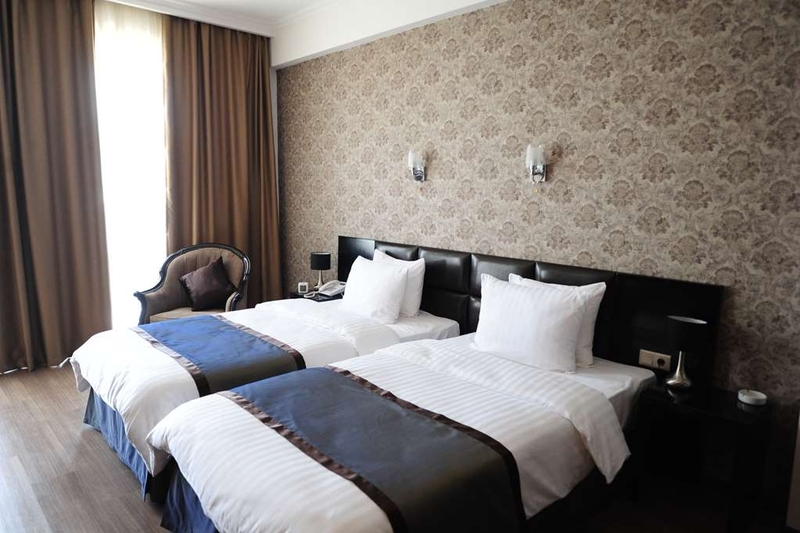 Overall an average hotel suitable for business travellers. "Bad Location, Dingy Hotel, Regular Service, No English!" So where to start... Location - the location of this hotel is terrible. It is located in a sketchy residential building in terrible state. The entrance is located in a dark alley. Most taxi drivers have no idea where it is. Want to walk around here? I wouldn't recommend, drunks are always nearby and the locals are not tourist friendly. Property - the hotel itself doesn't look good. It looks old, not everything works as it should. Food - food for breakfast is very average. The bread is from a pack and tastes as if it was stored. Staff - the staff is very average but the main problem is that lost of them don't speak English. How in the world does the receptionist not understand English well? I wouldn't stay here for anything in the world! It is overpriced for what you that. For the sane 90-100 you can take a way better hotel in a better location. Very noisy hotel. Staff banged doors and cupboards all day and night and talked loudly outside your room all the time. Got probably 2 hours sleep all up. They knocked on our door at 12.15am for room service. What is that. Then the girls proceeded to talk and laugh so loud I felt like they were on the end of my bed talking to me. The only good thing about this hotel was their breakfast. Oh and no hot water on the morning of leaving. 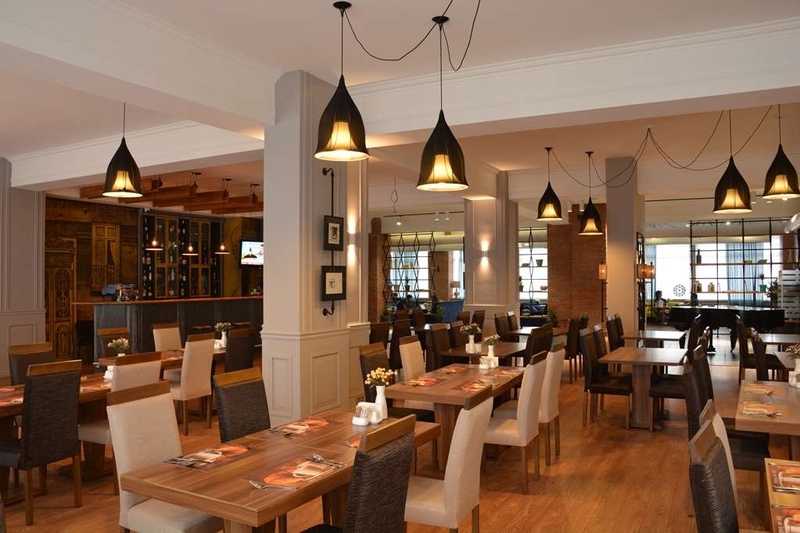 "Cosy Place, Lovely Staff and extraordinary Service." We were there in February. We arrived from our flight around 2.30 am. We got the ordered taxi from the hotel. We received a warm and friendly welcome. The staff at the front office were really friendly even at that of the night. The breakfast was nice, nothing out of the ordinary. but there was plenty even toward the end. The staff is the asset of the hotel. Kind, friendly and will go out of their way to help you, and feel you at ease and enjoy... The only down side is the view from the rooms... Actually there isnt any view. I visited the hotel during new years.I was told that there were not enough rooms,given I had booked my Georgia tour with all non- smoking rooms in advance.I wasn't asked if I smoked and was unknowlingly transferred to the floor which had smoking rooms. The room alloted to me was very warm(the heater) and I had to call room service many times before anyone came to fix it. The bathroom door wouldn't shut and the lock and the handle were out of place. The WC shower started leaking suddenly at night and I would have slipped if I didnt be careful. Again, I had to wait too long before help arrived. Finally,when I couldn't sleep with all these problems the night before check out, the cigarette smoke filled the bathroom and room from nowhere and I requested the hotel staff to shift us to a non-smoking room, so that I could sleep a few hours atleast. I understand that not all staff are expected to know English, the electrician and plumbers had no clue what my problem was and I was left to explain everything myself to the staff at the reception. They were not helpful and cooperative when required. Hospitality was not proper. Very rude in speaking at times and not helpful. Being a visitor if we ask them something about the place or something the reply would be "i dont know" . Given the brand name of 'Best Western',the service wasn't upto the expectations of a rational visitor. "Good Property at nice location with great staff"
Stayed for four nights along with family and friends on vacation. The Property is located in the center of New Tbillisi. There is a Spar Supermarket, Mcdonald's, Wendy's near the Hotel. Within walkable distance 10 mins from hotel there is shopping street with good shopping options. The rooms are located in 14th, 15th and 16th floor with nice views of the city. The rooms were quite spacious for a family of four with enough space for additional bed. The room and bathroom was very clean and quite well maintained. The breakfast served was good with decent options and our group enjoyed the same. The staff was very helpful and friendly and was willing to assist us with all our requirements and made our stay pleasant. Overall our experience was very good and highly recommend the hotel for both business and family trips. 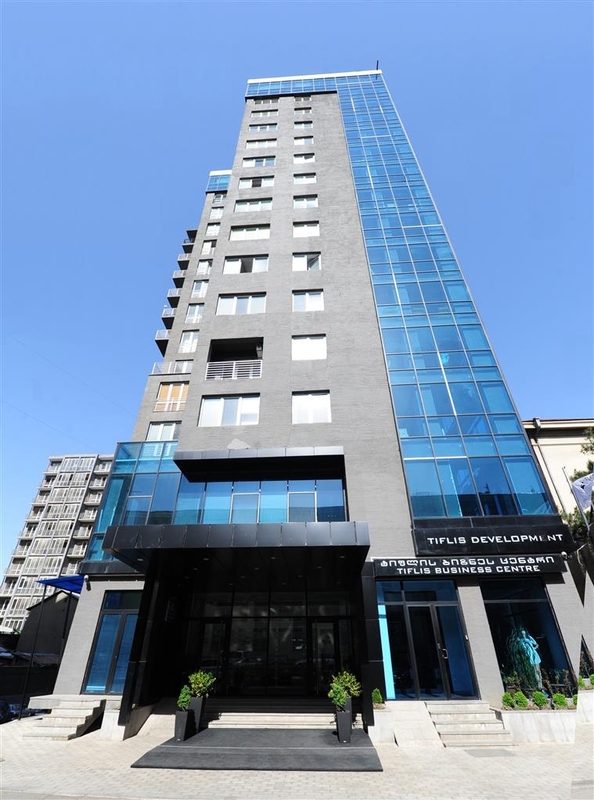 Its a wonderful hotel in central tibilisi . Near it supermarket, small restaurant, mc Donald , bakery r available . 10 mins walking distance central market is there , u can shopping and eating here. Staff is very friendly and helpful. They give u assistance as u need . they provide very basic breakfast, interiors and rooms r comfortable, from all rooms veiws r wonderful, u can see whole veiw of tiblisi. 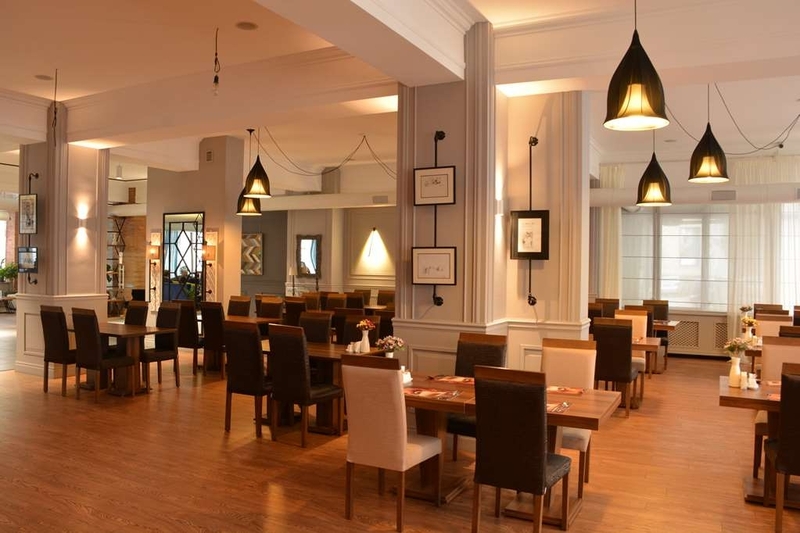 "Great staff and nice location"
"A Great Hotel with Fantastic Service! " I was in Tbilisi last month on business and needed a comfortable hotel which was centrally located. The room was fantastic and the hotel has all of the modern amenities to include a spa, nice gym, restaurant and bar. The room was a nice size allowing me to spread out and not feel so cramped. I needed to extend my visit twice and the front desk staff strived to accommodate me as best they could. A special thanks to Ani and Tatiana! The staff at this hotel were amazing. Extremely helpful. Always attentive and helpful and cheerful. Marta is among the top 3 hotel staff I have ever met anywhere and I stay at hotels about 180 nights per year. I would hire her in a minute and I am very selective. Decent hotel with laidback attitude of staff. A few good and a few not so. Apparently a little old property. Two separate lifts, one till 14th floor and the other for higher floors. a little confusing as the help desk at 14th floor was never manned. Average breakfast. All in all an average hotel, 3 star. 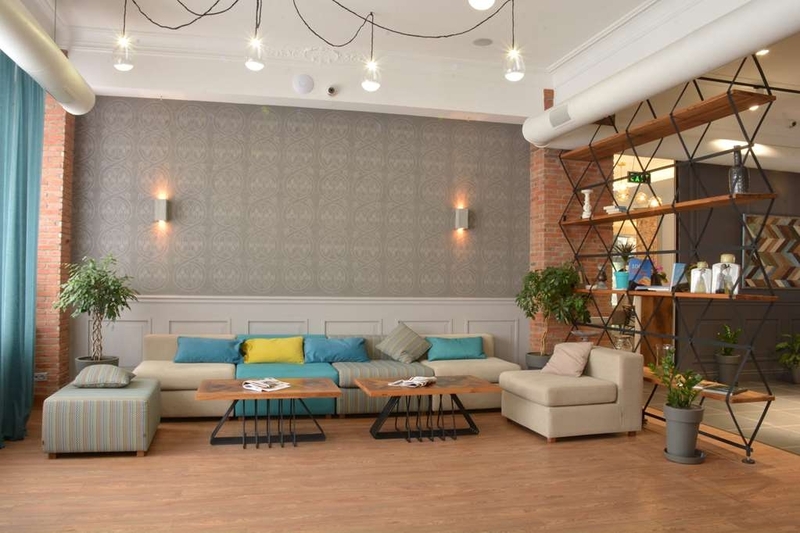 "A good base to explore this beautiful city"
We went to watch the Okean Elzy concert in Tbilisi last year and decided to stay at the Best Western due to its convenient location and attractive relative pricing. The experience overall was pleasant, checkin was smooth, the rooms were at a Best Western standard and breakfast was good. A pleasant stay. But will explore other Tbilisi hotels before returning to stay there again. 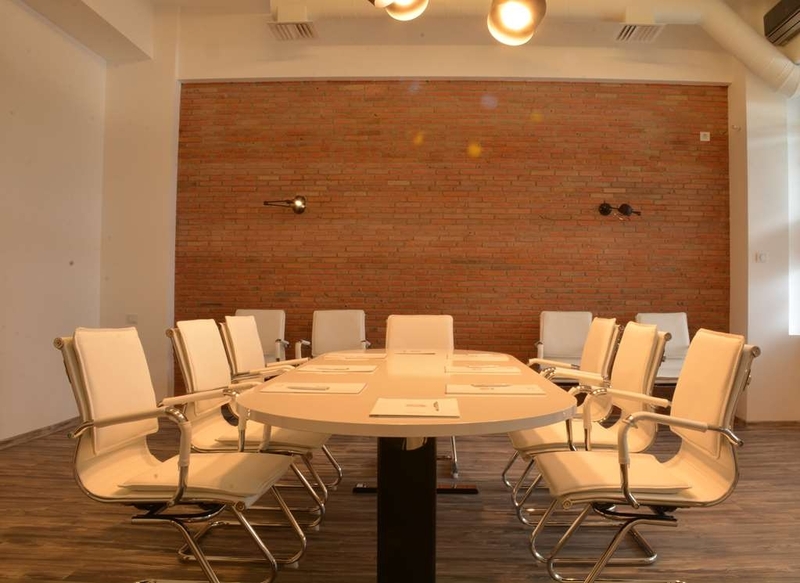 Location is great for business travelers. 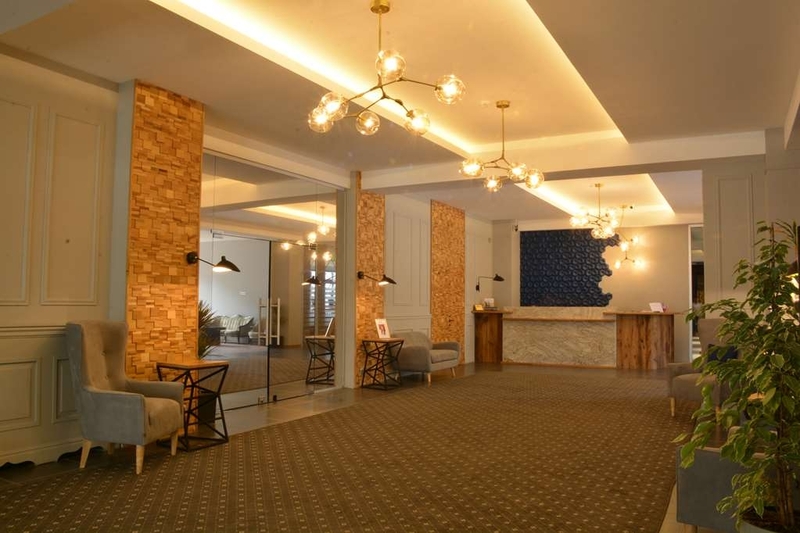 "Wonderful Hotel, First class to Ms. Mariam, Ms. Nanuka and Ms. Marta, experienced a refined form of great hospitality"
"Good experience for business trips"
I chose this hotel because it was close to the conference facilities and the price was okay, compared to other places. The room was rather big, it had a balcony and double beds. However, I did not understand what was missing- it wasn't cozy or "warm" enough, maybe some pictures on the walls or carpets may change this. Also, I had a perception that it wasn't super-clean, the additional pillows were like 100 years old. The thing that I can say for sure about this hotel, is that it has very friendly and nice staff. The breakfast was nice and tasty. There wasn't a bathrobe at the room, and when I requested one, it appeared to be not so clean:) At the same time, the hotel provided me with iron and ironing board in super fast and nice manner. The shampoo and shower gel are two in 1, so make sure you have your own, if you have complicated hair. There were many shops, pharmacies nearby, also fast food places, like Subway. You can find Entree on walking distance. Water, tea and coffee are available at the room. Good experience for business purposes, but if you visit for sightseeing, metro station is nearby. 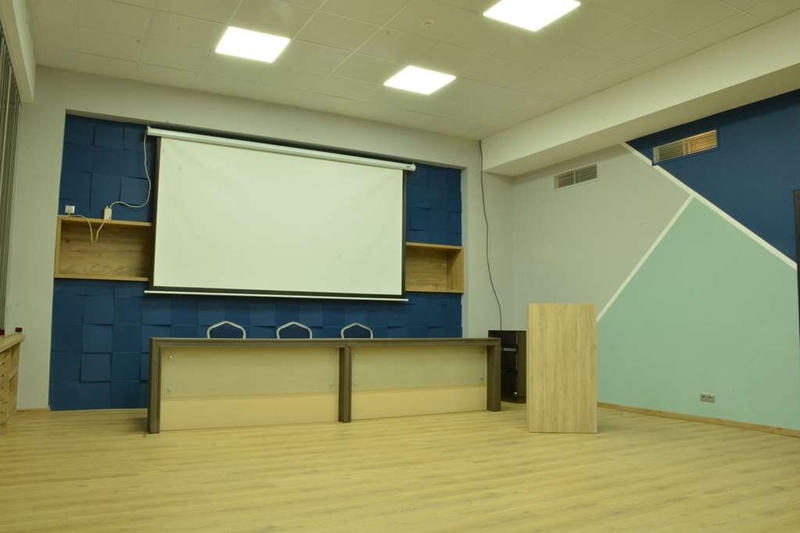 "Nicely mainatined, in heart of the city, great for both family and corporates"
Very courteous and helpful staff, and all amenities like wi fi, heating / cooling well maintained. Food and breakfast mostly continental and less variety. Location of hotel near shopping malls, market also makes it excellent for travel / stay comfortable. 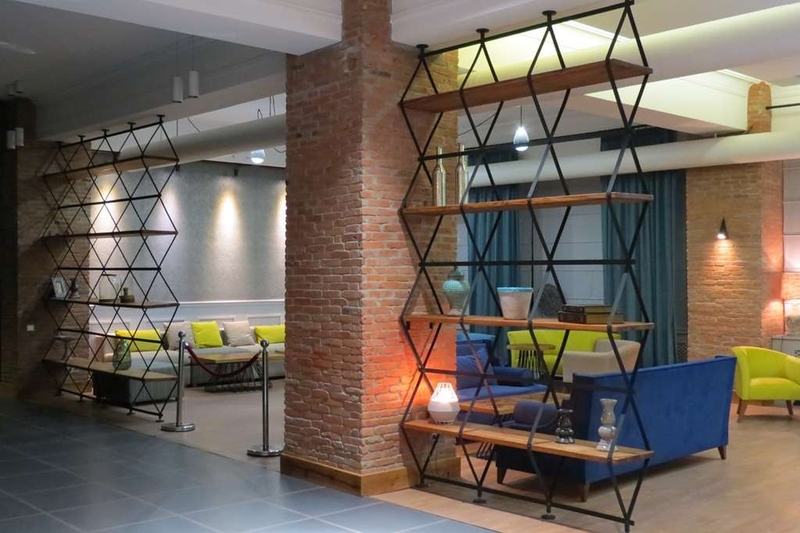 "Best Western Tbilisi Art Hotel"
"Wonderful staff, very good breakfast, but..."
If this review were only about the Best Western's staff it would be six-plus stars -- the young, energetic, and attentive staff are the highlight of the establishment. After my visit to their country, I am convinced that Georgians invented the idea of hospitality, or at least have dedicated themselves to perfecting it. The hotel's public areas are quite pleasant too, and a very good buffet breakfast appears each morning. The bar serves excellent Georgian wines (they are really unusual, and worth some tasting) as well as other more familiar offerings. The problems are with the hotel itself. It is located down a potholed alleyway -- really only one lane, and not pedestrian-friendly -- behind a large sports or music arena, in a charm-free zone (although Tbilisi is reviving itself after years of deprivation, so I really can't be very critical about the surrounding area). If you walk through the parking lots on one side of the arena or the other, you get out to the main street, eventually. There you'll find a useful Spar market and some nearby fast food outlets, and will be across the street from a large and modern Holiday Inn (with, more or less inevitably, its own casino). I mention the Holiday Inn because if you're taking a taxi back to the Best Western, the driver might not recognize the address; just ask to be let out at the Holiday Inn, and then take the two-minute walk over to the Best Western. Overall, the location -- well off to the west of the Old Town city center -- is somewhat remote, but the Best Western staff will help you get a taxi. Taxis are cheap -- you'd have to be taking a late-night trip to a rather remote address to spend more than the equivalent of about US$4.00. The guest rooms are on the top three floors of building, which were apparently a later addition to an existing structure; take the lobby elevator to 14, then walk down the hall to another elevator, and that gets you to your room floor. My room, on 16, was not wonderful; furnishings were *very* basic, the plumbing made loud screeching noises from time to time, and there was a persistent smell of mildew from the bathroom. The float in the toilet tank would not work reliably, so about every other visit I found myself lifting the tank lid, which for some reason was usually enough to get the float to close the valve and allow the tank to fill. The faucet and taps on the bathroom sink had been somewhat hastily, but not firmly, installed. On the plus side, there was a very effective air conditioner, a large balcony with an impressive view (though the balcony was shared with another room, which made it inadvisable to leave the door open at night), and the stall shower was new and squeaky-clean. Overall, though, the room was not what you'd expect from Best Western generally. 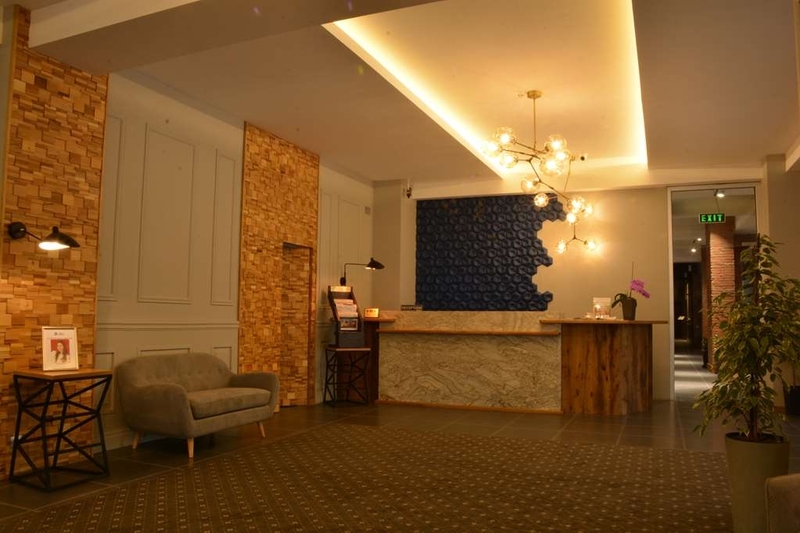 Thus, depending upon what you're looking for and what you'd emphasize in a hotel review, you could put this place anywhere from one star on up to five. Maybe I should give three stars here -- after all, some fine people are working hard to offer good accommodations under less-than-ideal circumstances. But the drawbacks are real as well, and those considering this hotel should be aware of them as well as of the strong points. Hotel is good . Rooms are clear and staff is helpful and friendly . Location is not central , but in taxi to center cost just couple of dollars and metro station is nearby . We booked via booking system and after i sent e-mail to hotel asking transfer from Airport to hotel and transfer was done without any problems . Management is good . 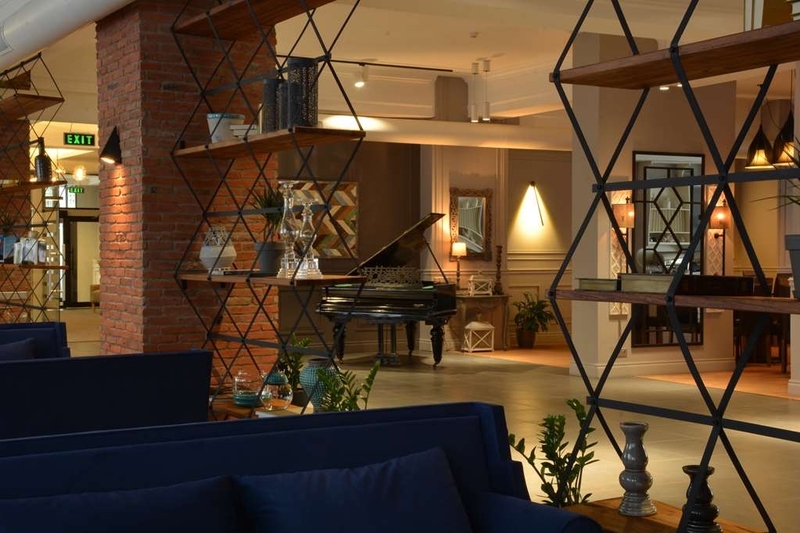 "we have a great time in tbilisi.our hotel (the best west hotel)was an art hotel and decorated with fantastic furniture." very good employee,good place,nice decoration,breakfast could be better(very little choice & repetitive) our room was clean,big & good balcony)near the shop centers & kfc .housekeeping service was good.warm & friendly welcoming by staff. "DECENT THOUGH DIFFICULT TO LOCATE"
We had a five night stay during our recent Georgian trip.The hotel was booked through an agent .Though the standard rooms are shown to be of 320 sqft, only some meet this area as others are cramped. The check in was done in no time.The hotel has a spacious lobby and restaurant.The FO staff speaks really good english.The hotel rooms starts from the 14th floor and are there on 15th and 16th floors.The rooms are neat and clean and the house keeping department is really efficient.The toilet with the cramped shower space is neat as well.The beds are comfy.The view from the 16th floor is spectacular and you even gets a spacious balcony having an area equalling that of the room but cant sit aside during winter due to the freezing temperature. The breakfast is the one area which requires thought as the very same menu is repeated every day with changes only for the dish placements !! Though we mentioned this from the third day, it didnt do any good.The same menu was repeated.But for this every other feature is more than satisfactory with a special mention to the restaurant girl Lika. "If you plan to eat outside you can stay there!" 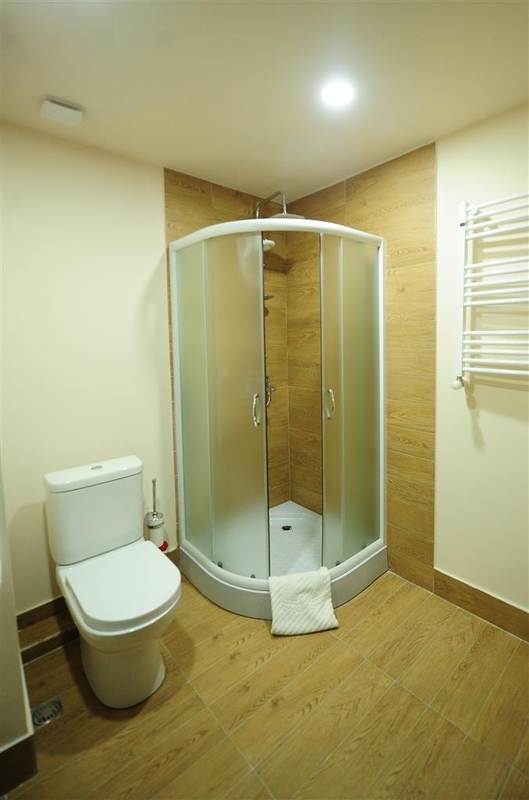 "well located close to metro and supermarket"
The rooms are of a decent size with free wifi in-room. The buffet breakfast had a good selection. 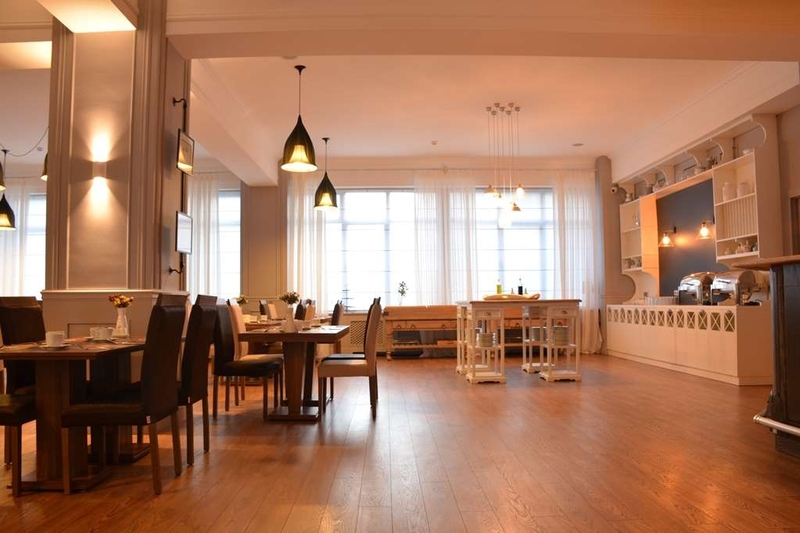 The hotel is well located within 1-2 minutes walk to the metro station and the supermarket. However, after office hours only 1 lift serviced the hotel floors which can result in long waits. It would also be helpful if hotel staff were able to provide maps of the local area, instead of giving me the brochure for the Big Bus Company which had in it a useless map of the route. "Expect to be charged more than the check-in price!" I reserved a room for my guests a couple of weeks ago. The manager and I agreed on the price via email. However, upon check-in, my out-of-town guests were presented with two reservations. I only reserved one double room for this family of four (two children, ages 7 & 13), but somehow two different rooms ended up reserved. My guests selected the room with two beds, signed the invoice agreeing on the rate per night, and checked in. In the middle of their stay I got an email from one of the managers, Nana, who informed me that my guests selected "the wrong room" and would I inform them that it would be an additional almost $200 USD for their stay. I wrote that this was not what was agreed upon, and they shouldn't have to pay additional money. The response I got was, "Dear Raymond, We knew..., we did not ask them to change anything they insisted upon check in themslevies NOT WE !!! . And now they are 4 people in 1 room and it includes 4 breakfast for 4 people , ...please contact your guest and clear our why they did like this ! ...The rate has changed... 2 persons in each room and now you are asking to pay the same rate for 4 people ? It is illogical ." A couple of things I would like to point out.... 1) my guests never had the hotel breakfast 2) the children can't stay in a room alone 3) if the clerk at the front desk made an error, that is the hotel's error. Not mine. Not my guests. 4) I paid the $200 extra and was terribly embarrassed that my guests found out how much was owed because the night clerk explained how my guests "messed up". That is humiliating. I seriously doubt after this encounter that I will again use this hotel for my business and corporate guests. I have many guests that travel throughout the year from around the world, and especially the USA. They will likely stay at other hotels that better reflect the positive virtues of this beautiful country. "Great visit.... except the result!" Had a great stay at the Best Western Tbilisi - visited for the Scotland v Georgia match in Sept 15. 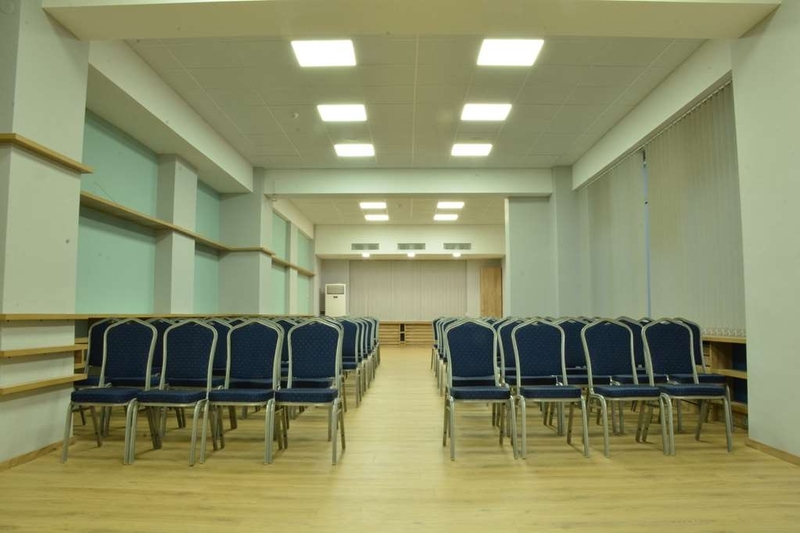 Great spacious room, clean, bottles of water provided daily and reasonably priced. It is a bit out of the way for accessing the old town, but taxis are fairly cheap, and if you want a cheap beer, there is casino about 100 yards away. One negative - the bar didnt have any cold beer which made us not stay for a drink! Positives: The staff were pleasant. The hotel was clean. Odd: The rooms are on the top 3 floors of an office building and have their own separate elevator which actually starts at floor 14. It was very odd. Negative: The location seems to be in a bad part of town... behind a communist era exposition center and casino. All wood floors mean that one hears all the comings/goings in the corridors. For the sake of the kind staff I wish I could recommend this place, but I cannot. There are better options in Tbilisi. "Quirkiest BW I've ever seen!" If you're looking for a Best Western, you are probably looking for familiarity. Just expect it to be quirky and you'll probably be okay. The taxi must pull through a gate in a parking area outside a sports arena - no sign of the hotel but relax, he's not taking you back there to mug you, the hotel is around back. The check-in desk is right there, but you must go to the 14th floor to get to the first floor on the hotel, if your room assignment is 15 or 16, you'll have to get off at 14 and take the stairs or another elevator on up. Don't expect much of a view up there though, as the balcony faces a decrepit looking apartment building. Once you figure that out the room is spacious and comfortable enough, though quite dark. Best part of the room? The bathroom heater serves as a towel dryer. We were about to wash out some laundry and hang it on the rack where it dried immediately. Free WiFi is always great. Breakfast was good, eggs every day we were there. Right outside back out on the street there is a McDonald's, Wendy's and Subway for fast cheap meals, and more local stuff if you explore around. Just be spry though, as crossing the street is very reminiscent of the old "Frogger" game. I stayed here with my wife for 5 days, and after seeing many hotels in the city I can confidently say that this place is one of the best to stay in. The staff are super friendly and helpful specially (Lana), thry all helped us with everything, booking taxis, clarifying the places details, the currency and fares in the city and anything else we needed (plus they speak great English so that was ultra helpful. The place itself is away from the main street and quit (with some noise from other guests) and the view was great, you could see all the city from your window. The place is great if you're regular traveller and would spend much of your time out in the city, clean, nice, with all the needed facilities. I'd definitely book here again and recommend it to others. "Ambassadors of the famous ‘Georgian Hospitality'"
We stayed in the hotel for 4 days with our infant daughter. The hotel staff went above their call of duty to make our stay comfortable. Be it specially made rice and milk for my daughter or just helping us out with taxi bookings or even giving us detailed information on places to visit - they have done it all with a smile and in spirit of true Georgian Hospitality. Thanks to Tiko and her team (Ana, Khatuna and others). The Hotel has a good Wifi connection and is centrally located next to various shops including a SPAR, McDonalds, Subway etc. The rooms are well cleaned. Would definitely recommend this hotel for Family vacation. Stayed her for 6 nights in July 2015 with my husband. 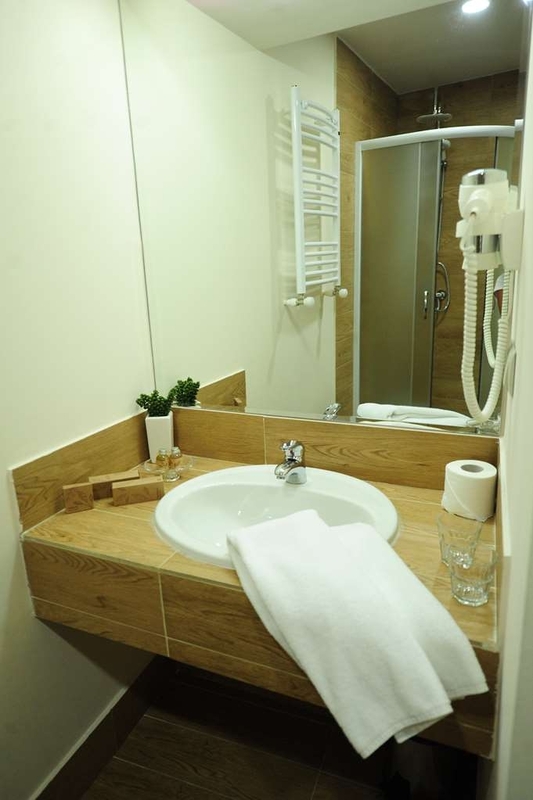 Beautiful clean modern room with two good sized single beds - very comfortable with good A.C.. Coffee and tea making facilities / mini bar and hairdryer provided and room cleaned with towels replaced each day. There is free good quality Wi-Fi throughout the hotel. The hotel is centrally located with McDonalds Subway KFC Dominoes and a well stocked SPAR all within 2-3 mins walking distance. Two things to note about this hotel. One the rooms are on the 14-16th floor but the first lift only goes to 14th floor so you must change to another lift for 15th and 16th floors. Second drawback is the hotel is situated behind other buildings on a side road. Taxi drivers are not clear on the location of this hotel - you must get receptionist to write address in Georgian to hand to driver. Overall I would highly recommend this hotel. Will come back if ever in Tibilisi again. The hotel is very clean also it is part of a commercial building ... it has fast wifi in every room and also the breakfast is good,the location is good and near to rustaveli street and the metro station is so close...after all it is good place for staying at...im sure i will stay at this hotel again. "Hotel in an office block"
To begin with the hotel was hard to find, even the local taxi driver had to ask for directions. When I arrived at the hotel I realised that out of 15 stories only the top two were actually the hotel. The reception is very dated as is the lounge/bar/breakfast area. On my second night I returned to the hotel to find there was no running water, when I called reception they told me they knew of the problem and that I may use extra bottled water at no charge !!! This is one of the strangest hotels I have ever stayed in. True, I arrived at nearly 4 AM and in my sleepless condition anyplace could have appeared strange, but this wins some kind of prize. It is situated off a main road, but there is only a tiny sign next to a McDonald's to indicate there is a hotel there. The taxi had to enter a car park and take a ticket, and then circled behind an an enormous white building and there was another small, dimly-lit sign on a building that did not look anything like a hotel. It looked like an office building, and that in fact is what it was. The check-in desk and the restaurant are on the ground floor but all the rooms are on the 14th and 15th floors. The room itself was pretty decent. Large, hardwood floor, decent-sized flat screen TV, sliding door opening onto a small balcony with a view of the city, bathrobe. No bathtub, just a very tiny shower stall. No washcloths. Bed and pillows were fine. Breakfast was merely adequate, but the service was friendly and the barman made a very good cappuccino (an extra charge for it but worth it). There is a very well-equipped fitness center in the basement: machines, free weights, etc. Location is OK. It's about 6 km from Rustaveli Square, so if you like to walk it is fine. Almost everyone I dealt with at the front desk wore a name tag that said "Trainee," and it showed. Efficiency and competence were shaky, as was command of English. If I didn't speak some Russian it could have been a problem. For the price I can't complain, but I probably wouldn't stay there on my next visit to Tbilisi.